You're a grammar stickler. You’re meticulous, careful, and diligent. You like things to be perfect. You want them neat and clean. You accept nothing less than perfection, and consider “almost perfect” as failure. You tend to be critical of what you see and hear. You set high goals, and always put forth the needed effort. You know what you want, and you usually get your way. That said, you're an introvert. You daydream a lot, and often get lost in thought. Does this sound like you? Let us know in the comments. 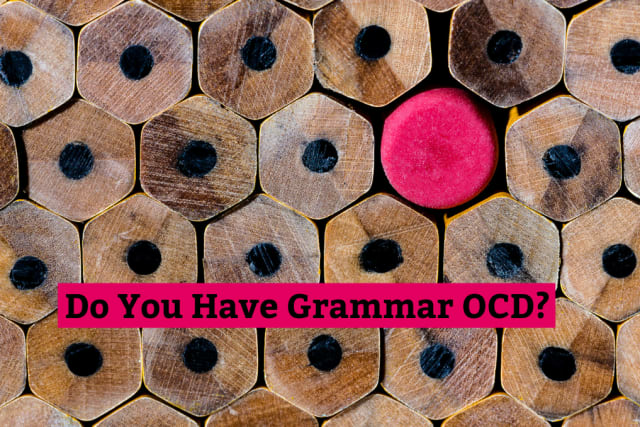 YOU DON'T HAVE GRAMMAR OCD! You’re a practical thinker. You never get stuck in your old ways. You know that life is hard enough, and that’s why you don’t sweat over the little things. Good for you! !